Parenting is a hard job especially if you have babies with sensitive skin. But don’t worry! 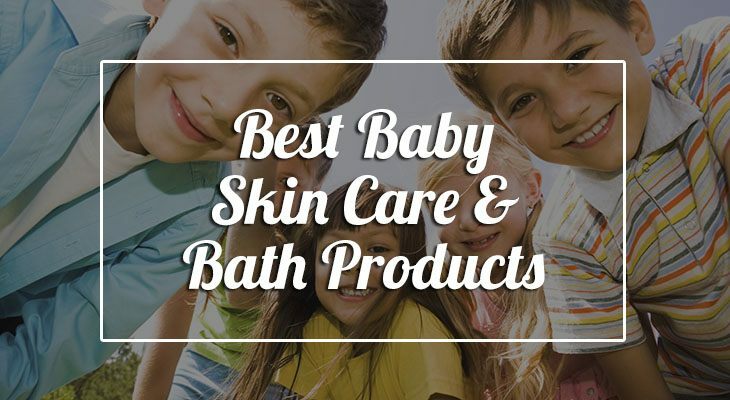 The best baby skin products are here to help you. It’s normal for babies to be born with dry skin, so baths are an essential part of their routine. Dry skin can be itchy and uncomfortable at times. Some babies will also develop skin-related diseases that will need the aid of soothing products. Creams, lotions, and other special personal care products play a big part in ensuring that your little one remains comfortable throughout the day. Discover the best baby care products you need to buy right now! Before going shopping for your baby’s skincare needs, make sure to talk to your pediatrician first. Not all skin care products in the market are appropriate for your baby’s delicate skin. In fact, some ingredients found in adult skincare can be harsh on your baby. To be safe, the best route is to ask your doctor what to avoid and what to get. It’s also a good idea to read customer reviews to see which products work the best for others. However, keep in mind that the best baby cream, lotion, and etcetera may not be the best for your baby. It may not even work well with him. And that’s fine! Trial and error is a common part of parenting, and you should get used to it. Move on and try another product. There are lots of different ways to choose which skincare product to get first. You can choose depending on the particular needs of your baby, like getting regular baby products or buying ones specially formulated for cradle cap, eczema, and other skin-related diseases. You can also choose by brand. CeraVe, Aveeno, and Mustela are some of the favorites you can check out. You can also pick if you want your skincare to be all-natural or not. See, there are so many choices! The best thing about this is that you can buy all these products conveniently. Either visit your grocery store or just get them online in stores like Amazon. But before going into specific skincare products, let’s give you a crash course on how to take care of your newborn! How to look after a newborn baby? What to use on newborn skin? If you want your baby to learn to drink in a bottle, introduce it to him at 6-8 weeks old. Sleep when your baby sleeps, or you won’t get much sleep at all. An excellent soothing technique is to soak in a warm bath together with your baby. There are numerous other tips and advice you can get from a rich variety of sources like the mother’s forums and your personal acquaintances. Take advantage of this! Now that the general stuff is out of the way, let’s delve deeper into baby skincare! The rule of thumb here is to get products that are certified to be free from harsh chemicals. 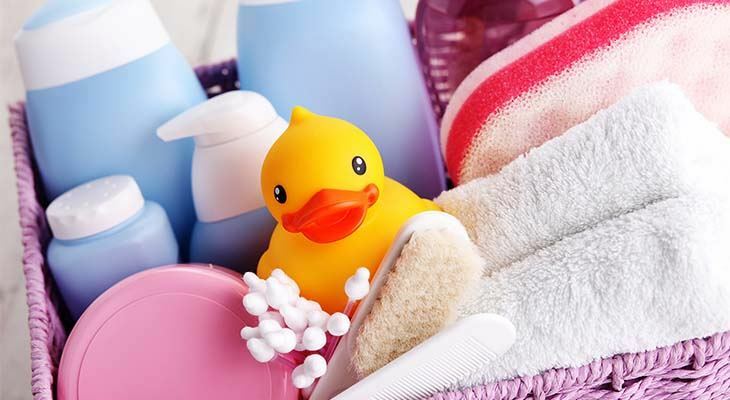 Some examples of these harmful chemicals are parabens, sulfates, phthalates, and etcetera. Most brands will advertise these claims directly so you won’t find it that hard to judge whether or not a product is safe for your baby. Remember that not all hypoallergenic products are safe. In fact, hypoallergenic doesn’t 100% guarantee that your baby won’t get allergic reactions from using a particular product. It just means that allergic reactions are less likely to happen. If you want to go the safest route, natural-based baby skincare products remain the top choice. It’s also the best candidate to treat baby eczema with. One question you might be asking is, how young is too young when it comes to applying skincare products on a baby? Answers and advice differ a lot to get a 100% specific timeframe. But the general consensus is it’s okay to put lotion and such after one month. Now that you know more about how to choose and use skincare products on your baby’s delicate skin, it’s time to get to the fun part! Below are a few recommendations that you can check out and try. You’ll never know, you might find the best baby moisturizer, powder, lotion, or baby wash that works great for your own precious little bundle of joy. Baby powder is mainly used to prevent over sweating and keep your baby comfortable. It’s usually made with talc or cornstarch and absorbs moisture. It’s considered a baby essential by many, but recent studies have shaken that belief. It is interesting to know that some claimed that baby powder could cause some types of cancer. However, the correlation between these two is minimal at best, so those claims aren’t well-established yet and there aren’t any official studies that verify such claims. Another concern voiced out by professionals is that baby powder can be harmful to babies if they inhale the tiny particles and damage their fragile lungs. But with proper handling and extra care, using your baby powder won’t be as harmful as they say. The next up on our list is baby bath products. Now, getting the right and safe baby shampoo and baby wash is essential, that’s true! But you should also remember that those aren’t everything you need when it’s bath time! Babies love toys, and they become more compliant and calm when a toy is present during bath times. So it’s a good idea to put one or two toys in. You would also need wash towels for after the bath. Some wash towels are made of fabric that are too rough on your baby’s sensitive skin, so it’s a good idea to choose a particular soft variety. Now, onto another type of bath product that most of you should be careful in choosing. Shampoos, like bath wash and soap, can dry your baby’s skin quickly. Sure, it does clean your baby quite effectively and leaves a pleasant, mild, clean scent. However, frequent shampooing and washing will strip away your baby’s natural oils, and that’s not good. That’s why it’s an excellent idea to refrain from washing your baby hair every day. Stick to at most twice a week. It’s also important to use shampoos and washes that are specially formulated for baby use since they’re less drying than their counterparts. Baby dry skin is normal. All babies get this, and more often than not it’s not even uncomfortable. It’ll also go away on its own. But it doesn’t hurt to moisturize your baby’s delicate skin only if you use only the mildest products available. There are a lot of outside factors that can worsen your baby’s skin condition. Allergy flare-ups are one. But you can always manage skin conditions with a dedicated eating plan, a change of lifestyle, and by using baby lotion for sensitive skin. 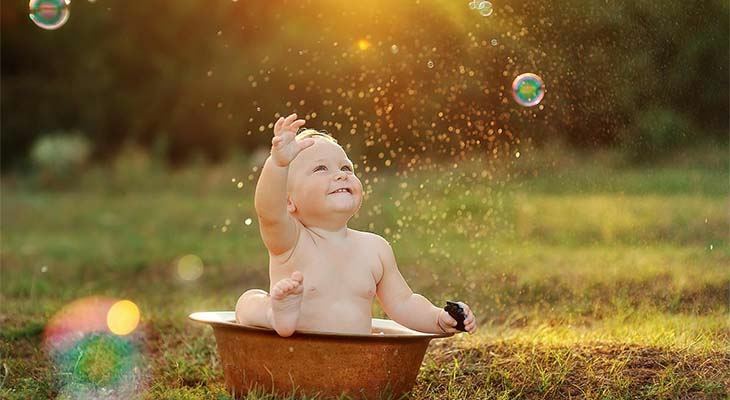 The changing of the seasons is also a good reason for the drying of your baby’s skin. Cold weather can equal to less moisture. So you should also look for the best baby lotion for winter and for summer and for all the times in between. Baby lotions specially created for baby use are definitely safe. Most of them are free from harsh chemicals, non-irritating, non-comedogenic, and hypoallergenic. They also provide great hydrating and soothing characteristics. If your baby needs a more intensive type of hydration, you might want to check out a few baby creams. Creams are made thicker, and they usually provide better hydration once absorbed by the skin. You should also look for a few ointments if your baby needs it. Healing salves and balms are great for soothing irritated skin, whether it be from diaper rashes or allergy flare-ups. Natural baby lotions and other organic skincare products are still deemed to be the safest type of skincare products for babies. As long as your little one isn’t allergic to any of the ingredients, natural products can work wonders and are mild enough for your baby’s delicate skin. It’s also best to turn to the organic variety if your baby is suffering from skin conditions like baby eczema, psoriasis, cradle cap, and many more. The great thing about going organic is that you’re not only helping yourself and your precious child. You’re also protecting the planet. Using an all-natural product requires less pollution than its counterpart. So, buying organic is like hitting two birds with one stone. It’s understandable that you’re feeling a bit overwhelmed right now. There’s definitely a number of things you need to keep your baby comfy and happy, and this is just one small part of it. But, it’s always best to be well-prepared. Whether it’s your first-time-parent or a seasoned pro, knowing which baby products are safe and well-loved by others does make you a better caretaker. So, make sure to study up and stay informed! When Can You Use Baby Lotion on Babies & When Do Babies Get Their First Bath and How Often?